Alexis Suter hits the stage at Caramoor. Alexis Suter set me straight very quickly. 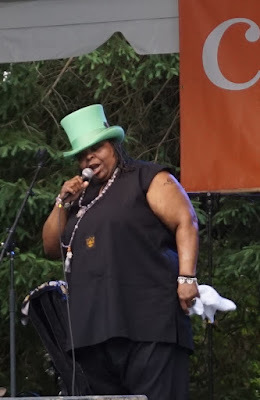 She hit the stage in her trademarked lime-green top hat and got to work. Her big voice and commanding presence grabbed me as she performed a program of original and classic blues songs, and some gospel numbers. I learned she came from a musical family—her mother was the first African-American to study voice at Julliard. Suter’s an award-winning staple on the blues and roots festival circuits, and I can see why she was a headliner at Caramoor. At one point in the show the Brooklyn native invited the ever-so-sedate Westchester County audience to come in closer to the stage, so I hauled my folding chair right up there to absorb more of Suter’s high energy. I sensed I was in the presence of a real Queen of Soul. Alexis Suter, giving it her all. But this story isn’t just about 2018. It’s about 2008, too, as Suter sent my memory spinning back a decade. That’s when I first heard Sharon Jones on WFUV-FM. I didn’t know Jones was the singer, and I didn’t know the name of the song. The R&B sound and lyrics, however, with the unforgettable line “is this romance or circumstance?” burned into my mind and I had to track down every detail. My enthusiasm reached its apogee when I took the F train to Brooklyn’s Prospect Park to hear her free concert on August 7, 2010, the finale of the Celebrate Brooklyn series. 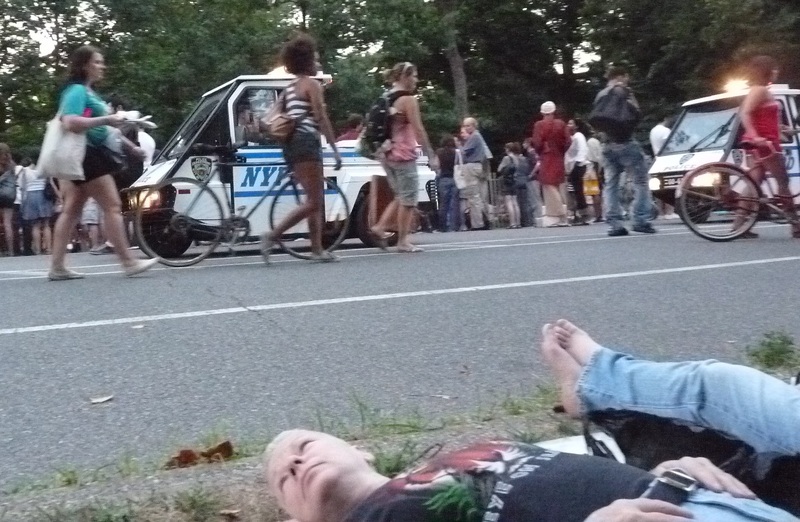 I arrived two hours early and found myself at the tail end of a line of thousands of people with the same idea. Not only did I not get seating in the theater, but I had to hike farther and farther back to find a space to even stand. I found myself on a road maybe 100 yards from the stage, sitting on the curb watching the Brooklyn humanity walk, bike and jog past me. The world came to Brooklyn to hear Sharon Jones. What was the attendance that night—20,000, or 40,000, or 50,000? Whatever the headcount, Jones and the Dap-Kings put on an epochal show that became a New York legend. I pushed my camera to its limits to photograph the concert; the blurred results at least show that, yes, I was there on that August night. For once in my life, I was at the right place at the right time. 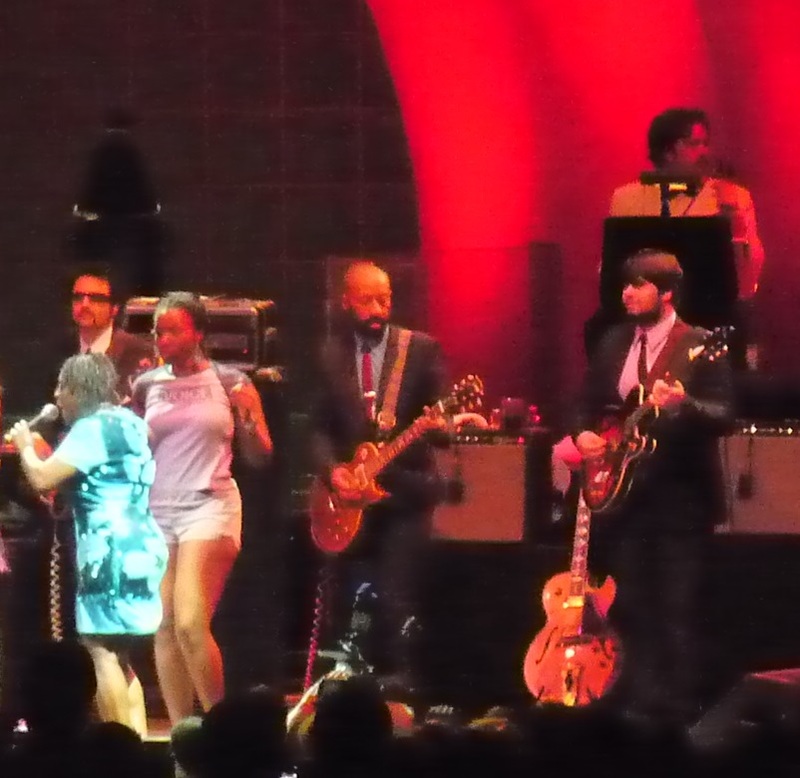 Sharon Jones at left in blue dress, Binky Griptite playing guitar, in center. I looked forward to more concerts by Jones, whose music career didn’t start jelling until 1996, when she was 40 years old. We were almost exact contemporaries and had both lived in Brooklyn in the 1980s; maybe we rode the subway together. I was sure I’d hear more of her. Indeed, I had tickets to see her at the Clearwater Festival on the banks of the Hudson River in June 2013. She would have torn the place apart. Our paths never again crossed. She cancelled the Clearwater gig as a result of a diagnosis of bile duct cancer. Her struggle and seeming recovery from cancer, with a 2014 world tour, framed a 2015 documentary directed by Oscar winner Barbara Kopple, Miss Sharon Jones! The documentary ended on a hopeful note, but Jones suffered a heart attack on Election Night in November 2016 and passed away on November 18. Jones’ passing hit me hard. Entertainers’ death are a sad reality; we adore their work and feel we know them from a stream of received images (I can still remember exactly where I was and who I was with when I learned that Marvin Gaye had been shot and killed by his father on April 1, 1984.) Maybe we see our own end in their passing. The loss of young performers, like Amy Winehouse, hurts because we always wonder what might have grown from their astounding potential. With Sharon Jones, I grieved because I really connected with her style of music, so redolent of the sounds I heard growing up in the 1960s and 1970s. That we were within a year of each other in age reminded me of time’s wingéd chariot hurrying near. I'd think about Jones at those times when I found performers who struck a vibrating chord in me. That could come from any genre: Latin, Texas red-dirt singers along the lines of Phil Pritchett, indie groups like Chastity Belt, with its haunting song "Black Sail." You've already been introduced to the latest, Alexis Suter. 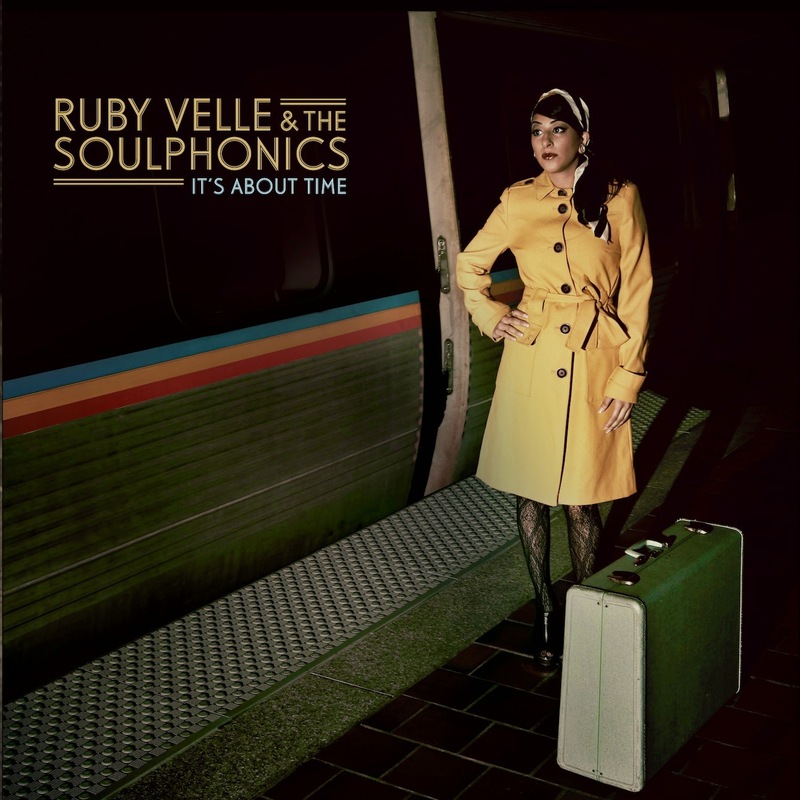 Another, Ruby Velle & the Soulphonics, hit me like that first Sharon Jones song: I just stumbled across her. On a whim I listened to the soundtrack of the cable show “Suits,” which I’ve even never watched, and I sure didn’t know that the future Duchess of Sussex, then known as Meghan Markle, appeared on the show. The sheer randomness of listening to music from an unknown source often gets exciting new sounds in front of me. The Suits soundtrack stopped me in my tracks with a song called “It’s About Time.” Clicking around took me to an album of the same title. “It’s About Time” uncannily captured the passionate, horn-driven sound of the late 1960s and early 1970s. Even the cover of a pensive Ruby Velle in a shiny yellow raincoat, standing with a suitcase next to a train, made me wonder if I had discovered a hidden gem from 45 years ago, with Velle on that midnight train to somewhere. A pensive Ruby Velle, waiting for the midnight train. Be a new tune? Or the same old song? Thanks to Caramoor and Suits, I’ve added Suter and Velle to my regular music rotation. They both say something to me with their urgency, honesty and messages. I’m going to look into Suter’s newest project, Alexis P. Suter and the Ministers of Sound (AMOS). Hearing Suter and Velle, I remember what attracted me to Sharon Jones, and that’s the highest musical accolade I can imagine. 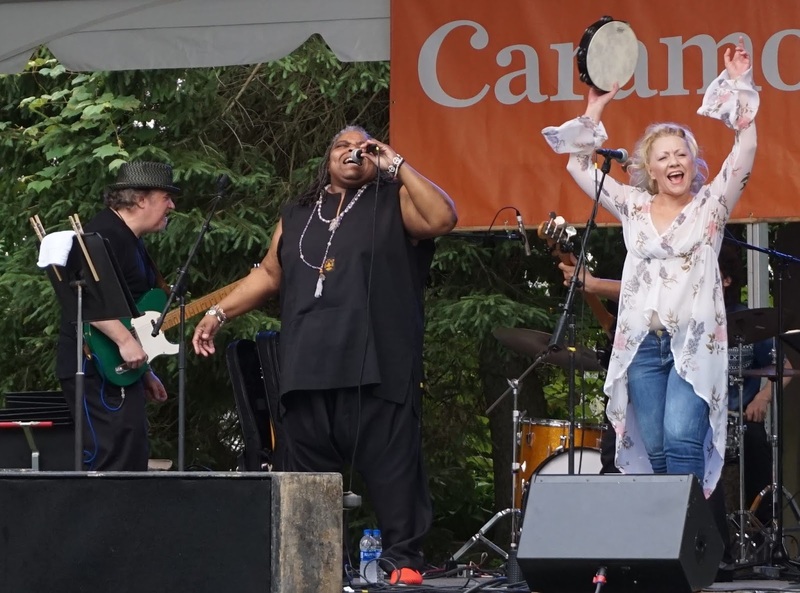 Coda: Around the time of Caramoor I was driving on a Saturday night and I heard a WFUV program new to me, “The Boogie Down,” a “Saturday night dance party” featuring classic soul and funk hosted by the delightfully named Binky Griptite. The name didn’t mean anything to me. That is, it didn’t until I watched Miss Sharon Jones!, where I realized that Griptite was a guitarist and longtime member of the Dap-Kings (take another look at the photo from the 2010 concert). I’m now a devotee of the show. Thanks to Griptite’s inspired platter-spinning, I get a little bit of the spirit of Sharon Jones every Saturday night.